The health of your entire plumbing system depends upon good sewer line maintenance. Sewer lines are a troublesome plumbing problem faced by many Fort Worth homeowners. The especially troubling part is the raw sewage smell that penetrates the whole property. 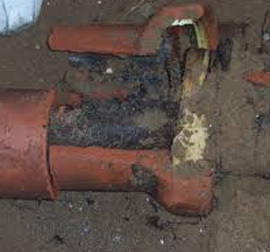 A faulty sewer line can be disastrous if not treated on time. A sewer line crack or a clog can mean waste backing up into your plumbing system or waste spillage on your property, and you definitely don’t want that! Sewer line crack usually happens as a result of tree roots growing in the lines that ultimately create so much pressure, that the line breaks.Pro Serve Plumbing’s professionals in Fort Worth can expedite your sewer repairs at the lowest rates. Speak with us today for more information on our sewer repair services. At the sign of a plumbing emergency, call our team right away at 817-244-0614. We offer free on-site estimates throughout Fort Worth, TX.